The Handwork Hub is a 51% black owned company and we are 100% women! 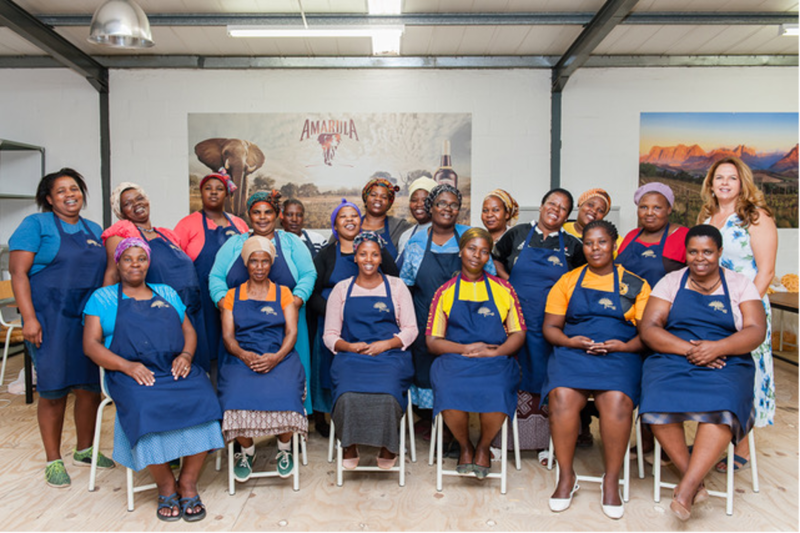 There are 30 of us and we make the little gold tassels on the neck of Distell’s Amarula Cream bottles. We are a Level 1 B-BBEE company and our primary goal is to see our families prosper physically, mentally, spiritually, socially and financially. 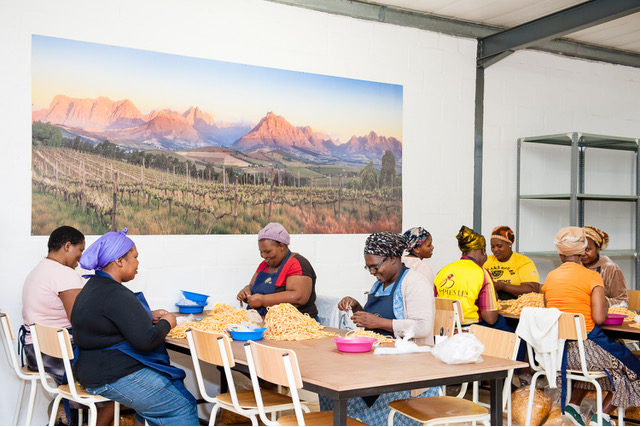 We started out informally working in the communities of Sir Lowry’s Pass, Nomzamo and Macassar but are delighted that we now have our own factory just off the N2 near Somerset West thanks to funding from Distell’s E+Scalator programme and mentoring from Enterprise Development Specialists, Future by Design Innovation. 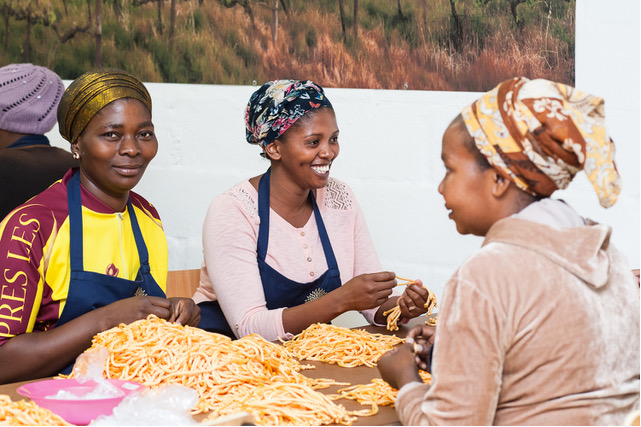 The Handwork Hub is an Empowerment Project! Most of us are the only breadwinner and the primary care-giver in our homes. 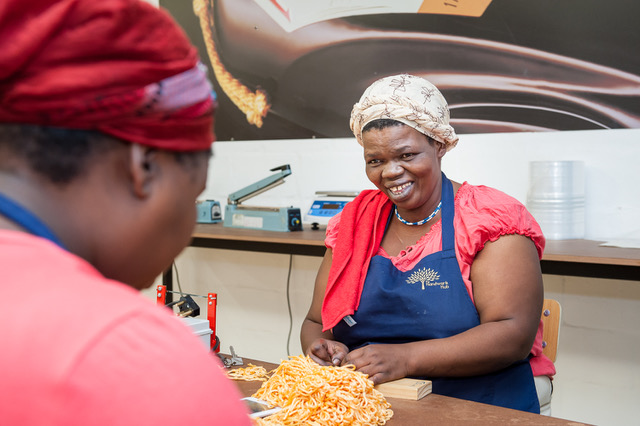 Since incorporation in February 2017 we have made more than 7 million tassels for Distell’s Amarula Cream bottles! All of us ladies are serious minded about our jobs and are striving to make our children’s lives better than our own. We are proud of what we do! Our work ethic is good and we are motivated! The fact that we are sharing in the profit plays a huge role in our production figures and the quality of our work. At the moment we only make tassels but our business has grown from strength to strength and we have built a solid infrastructure and a 100% delivery track record with Distell. We now have some spare capacity. Perhaps we can do some handwork for you? Perhaps you need something finished-off and we could be of assistance? Perhaps you know someone who is interested in partnering with us to make a difference in the community? Please contact us to have a chat about how we can help you.